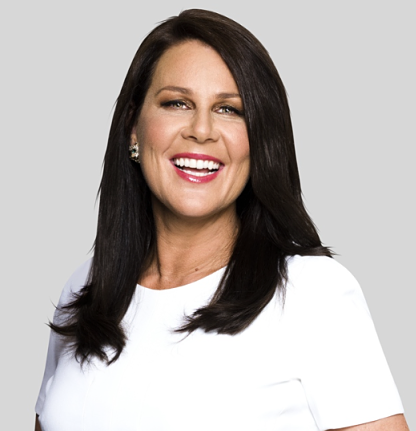 Julia Carolyn Margaret Morris is well recognized as Julia Morris for being Australian Comedian, Actress, Writer, Television Presenter as well as Television Producer. Previously, Julia had worked extensively in Australian television and radio, touring the country with her solo comedy shows. Along with this, Julia also appeared on British Television. She is a very talented television personality as well as she has a very charming face. By profession, she is a Comedian. Julia is famous for Stand-up Comedy. She is well known for hosting a couple of reality TV shows such as Australia’s Got Talent and I’m a Celebrity…Get Me Out of Here! in Australia. She is well known for winning the Australian reality TV show, The Celebrity Apprentice Australia in 2011. On 20th April 1968, Julia was born in Sydney, New South Wales, Australia. Her birth name is Julia Carolyn Margaret Morris. Her nationality is Australian. She attended St Patrick's Catholic Primary School and graduated from St Joseph's Catholic College, East Gosford, Santa Sabina College, Strathfield. Her ethnicity is White. Her star sign is Taurus. Julia has got amazing body features. She stands 5 ft 10 in tall and her balanced weight is 63 Kg. The color of her hair is Brown and eyes is also Brown. At the age of 17, she started her career by appearing in the television in the year 1985. There, she appeared as a contestant on the talent show named "New Faces". And She performed "Holding Out for a Hero", a Jim Steinman song and tied for the first place. In the year 1995, Morris cast in the Australian comedy series "Full Frontal" which became the hit which led her to host roles on "Great Aussie Bloopers" and "The Morris Report". She then appeared in "The Midday Show", "Good Morning Australia", "Beauty and the Beast" and "Who Dares Wins" as well as the action series "Gladiators". In the year 1999, she toured in the critically acclaimed Australian production of the Off-Broadway musical "I Love You", "You're Perfect", "Now Change". After that, she was shifted to the UK in the year 2000. There, she made her appearances on the TV quiz, episode of the sitcom "Not Going Out", sixth episode of season three of Kathy Griffin's "My Life on the D-List". She also presented in BBC's Liquid News show in the year 2002. After her success in the UK, she returned to her birthplace, Australia in the year 2007 and made her appearances on "Thank God You're Here", "Good News Week", "Spicks and Specks, Rove Live", "The Singing Office" and "It Takes Two". She then also appeared in a series of commercials for "All-Bran" cereal. Later, she was announced as the new host of television talent show "Australia's Got Talent" on April 2013. Julia began co-hosting the Australian version of "I'm a Celebrity...Get Me Out of Here!" with Chris Brown on Network Ten on 1st February 2015. Morris was also the winning contestant on the 2011 series of "The Celebrity Apprentice Australia", beating teammate "Jason Coleman", model "Jesinta Campbell" and AFL footballer "Shane Crawford". Morris won a Herald Angel Award at the 2001 Edinburgh Festival Fringe. Morris also won Time Out magazine's Comedy Performer of the Year Award in 2004. The current net worth of famous television star is estimated to have $900,000 as of 2018. The salary of Julia is to figure out and will be updated soon. Julia is a married woman. She married Dan Thomas in the year 2005, 31st December. Dan Thomas is a British Comedian. The couple is blessed with two children named Ruby Charlotte Thomas and Sophie Rebecca Thomas. They are living happily with their present life and there is no any sign of divorce between them. Presently, they are living in Sydney, Australia. Her winnings from reality singing series were donated to the Emily Tapp Foundation, a charity dedicated to melanoma awareness and prevention. She is a former manager of Sydney's Comedy Store venue. In 2013, she was seen in the show The Celebrity Apprentice. Morris has also been featured in several other famous shows like Bonnie Hunt, Just For Laughs, Sleuth 101 and several others. 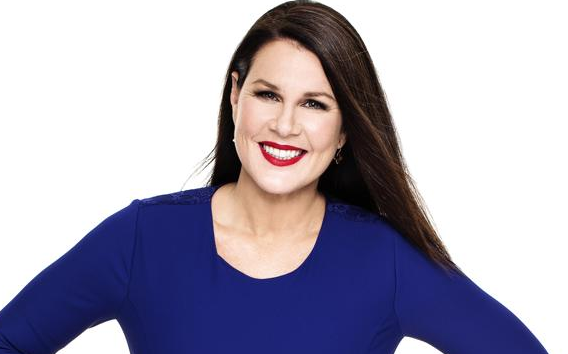 She is active on Twitter with an authorized account Julia Morris (@Ladyjmo). She has been nominated for the awards like Logie Award and Popular Comedy Personality.